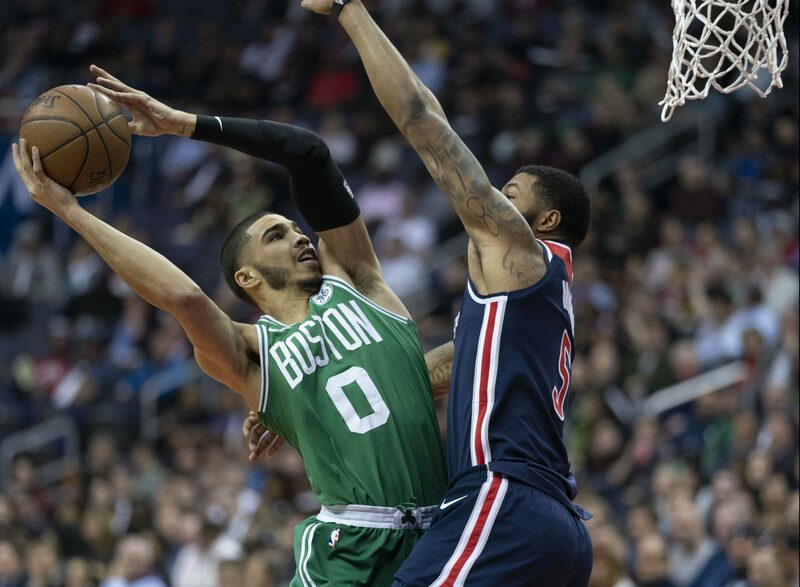 Rookie phenom, Jayson Tatum, led the Boston Celtics with 21 points and helped spark a rally to close a 22-point deficit to defeat the Philadelphia 76ers, 108-103. The Celtics Now have a 2-0 series lead as the series shifts to Philadelphia. Boston fan favorite, Terry Rozier, added 20 points, nine assists and seven rebounds. Marcus Smart got the start and finished with 19 points and five rebounds. J.J. Redick led the way for the 76ers with 23 points, nailing five three-pointers in the process. Joel Embiid shot poorly, but had another big game statistically with 20 points, 14 rebounds, and five assists. Ben Simmons was off his game all night as the Celtics’ defense did everything in their power to keep him as uncomfortable as possible. Simmons finished the game with 1 point, 7 assists, and 5 rebounds. Robert Covington had a big night with 22 points and nine rebounds in the loss. The series now shifts to Philadelphia, and with the 76ers down 2-0, they are definitly in need of some home cooking.